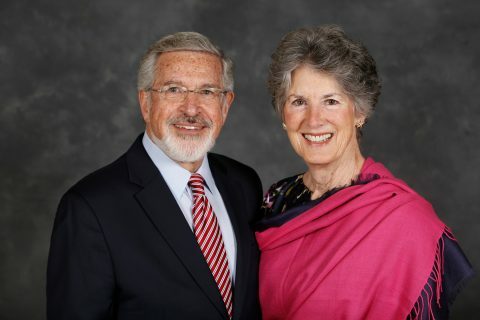 Gary K. Michelson, a retired orthopaedic spinal surgeon whose groundbreaking work generated more than 955 issued or pending patents worldwide, has donated $50 million to USC to fund the USC Michelson Center for Convergent Bioscience. 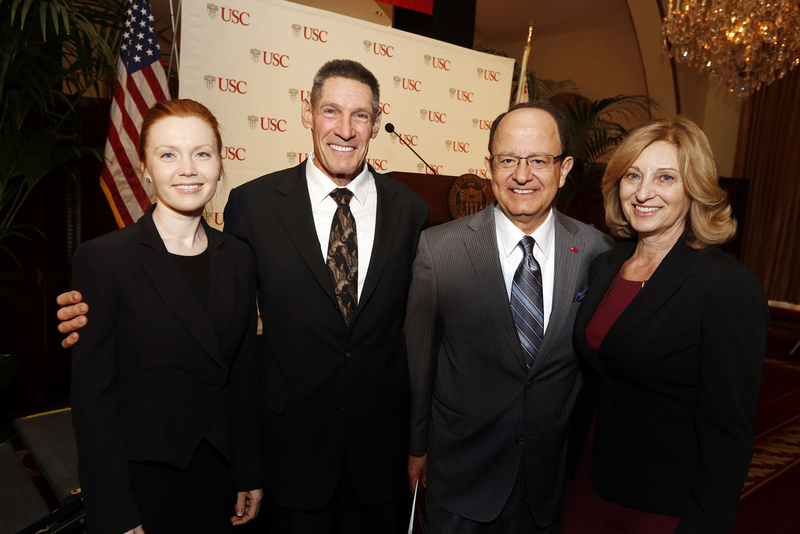 The gift from Michelson and his wife, Alya Michelson, was announced at an event on the USC campus on Jan. 13. Michelson is a board certified orthopaedic spinal surgeon and a fellow of the American Academy of Orthopaedic Surgeons. He is a prolific inventor, holding more than 950 issued patents and pending applications throughout the world. In 2008 he was recognized by the Paralyzed Veterans of America as the year’s Distinguished Scientist for his contributions in the area of the treatment of traumatic spinal disorders. In 2011 he was inducted into the National Inventors Hall of Fame. In March he will be inducted into the National Academy of Inventors. Michelson has founded, funded and directs three private foundations with endowments in excess of $100 million directed to medical research, animal welfare and education. The USC Michelson Center will leverage the university’s network of scientists and engineers to tackle grand challenges in health and related fields. One key goal is to turn the biological sciences into a quantitative and predictive science, fast-tracking the detection and cure of diseases. Advances in the understanding of living systems spurred by the genome revolution, coupled with improvements in computing technology, have positioned humanity to make undreamed-of advances in the biological sciences in the near future. At the USC Michelson Center, scientists will collaborate to translate those advances to the real world by accelerating the invention of new life-saving biomedical devices. 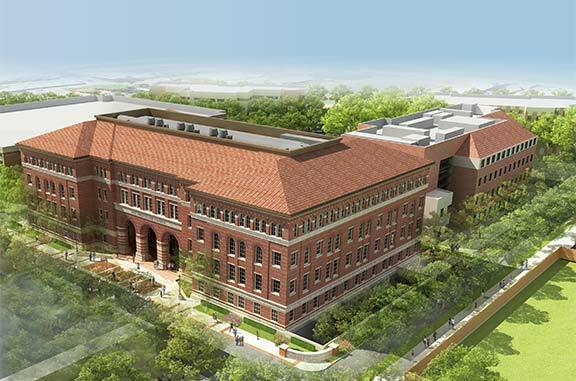 The USC Michelson Center will stand in the southwest quadrant of the University Park Campus, home to most of the science and engineering buildings, and will house 20 to 30 principal investigators with laboratories employing hundreds of researchers and students. Complete with state-of-the-art flexible labs, a Center for Electron Microscopy and Analysis, a nanofabrication facility and a suite of microscopy imaging technology that can take precise measurements inside of cells, the facility is expected to help draw even more talented researchers to push the frontiers of science at USC. The building will serve as a new home to many of USC’s key faculty, including USC Dornsife Dean Steve A. Kay — an innovative researcher whose investigations have contributed to the understanding of the genetic basis for circadian rhythms, which serve as the body’s clock. Kay, a member of the National Academy of Sciences, joined USC as the 21st dean of USC Dornsife in October 2012. 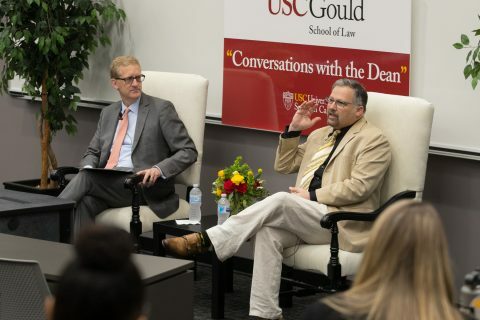 Previously, he served as dean of biological sciences at the University of California, San Diego, where he oversaw an academic division that included a graduate program ranked first among its peers in 2011 by the National Research Council. 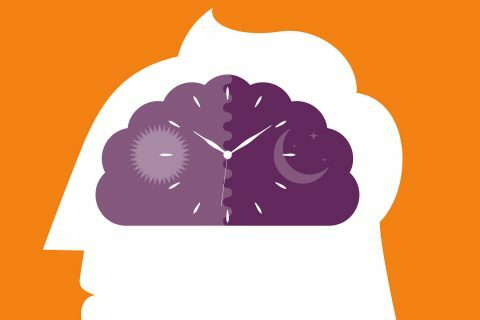 As a leader in genes and circadian rhythms, he has published more than 200 papers and has been cited in Science magazine’s “Breakthroughs of the Year” three times since 1997. Another new resident will be Scott Fraser, Provost Professor of Biological Sciences and Biomedical Engineering and the director of science initiatives, whose work includes the development of microscopes capable of imaging the beating heart of an embryonic organism as it grows. A world leader in microscopic imaging, Fraser arrived at USC Dornsife in August 2012 from the California Institute of Technology, where he founded the Biological Imaging Center in the Beckman Institute and co-founded the Caltech Brain Imaging Center, which he directed until 2009. His pioneering work continues now at USC, where it benefits from the support of colleagues with expertise in engineering, physics, chemistry and medicine. 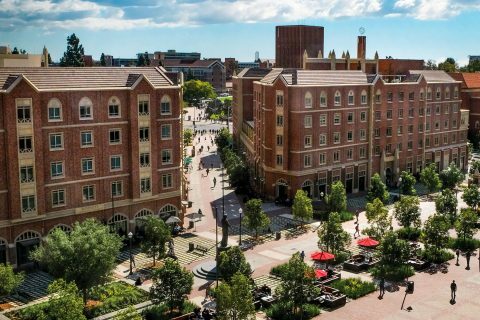 Michelson’s gift represents a milestone in USC’s current fundraising initiative — the Campaign for the University of Southern California, which seeks to raise $6 billion or more in private support from individual donors, foundations and corporations. At the time of its launch, the campaign had the largest fundraising goal ever announced in higher education. In three years, the campaign has already raised $3 billion. Michelson’s $50 million gift contributes significantly to the larger goal, advancing the university well past the halfway point. The $3 million gift from alumnus John Molina endows the C. David Molina First Generation Professionals Program, named in honor of John Molina’s father, and a scholarship fund.